Local and interstate access to meeting rooms and offices that can be booked through Kings Park Business and Secretarial Services. Hourly, half day or full day rates available. Meeting rooms seat 6 – 8 people. Tea/coffee/filtered water and catering, available on request. 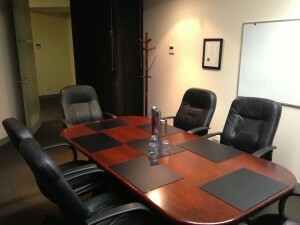 WiFi and teleconference available. Contact us today to learn more about our meeting rooms and other office spaces for hire.